The Volvo Ocean Race is making a major rule change to give female sailors a clearer pathway to compete at the highest level of offshore sailing. 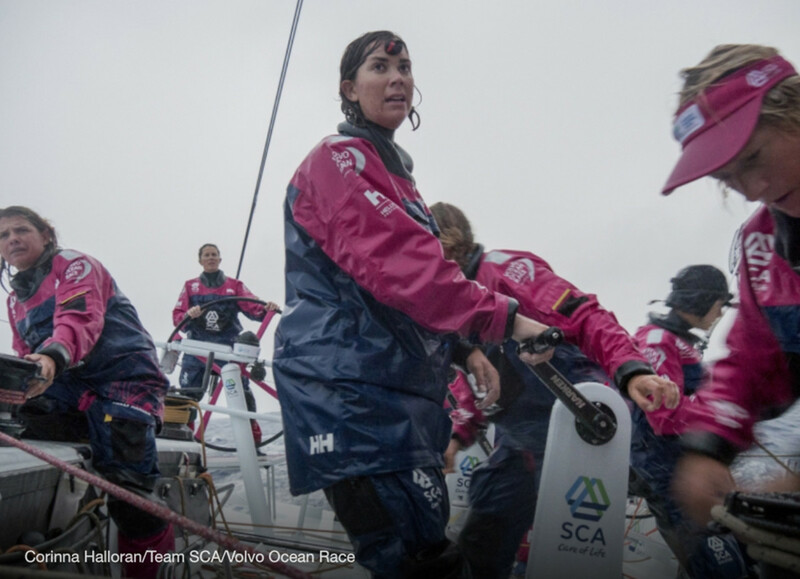 The all-woman Volvo Ocean Race Team SCA competed in 2014-15. New rules seek to boost the number of female contestants. The Volvo Ocean Race is making a major rule change to give female sailors a clearer pathway to compete at the highest level of offshore sailing in the 2017-18 edition. The new rules will limit all-male teams to seven sailors, one fewer than in 2014-15, and give mixed teams a significant numerical advantage. Teams will be able to change crew combinations from leg to leg in the race — but as in previous editions, teams will be required to have the same crewmembers on board for the In-Port Race as either the previous or the subsequent offshore leg — with the exception of a team that is racing offshore with seven men, which can add an additional woman for the in-port racing. The move follows the success of Team SCA’s 2014-15 campaign, which saw an all-female crew finish third in the In-Port Race series and become the first to win an offshore leg in 25 years — but still saw a ceiling in their offshore performance overall without being able to learn from the more experienced sailors once out on the ocean. The race, which celebrated its 43-year anniversary last month, has a long history of female sailors. More than 100 women have competed since its inception in 1973, compared with more than 2,000 men. "This is fantastic news for elite female athletes not just in sailing, but in sport as a whole,” said Dee Caffari MBE, who raced onboard Team SCA in 2014-15, and in 2006, became the first woman to sail solo and non-stop the “wrong way” around the world.